The Guerrilla Girls are an anonymous collective of women artists targeting gender inequality in the art world. Each woman in the collective adopts the name of a deceased female artist from Kathe Kollwitz and Frieda Kahlo to Iranian modernist Zubeida Agha. They appear in public wearing Gorilla Masks as a striking visual pun on their collective name that also protects their identities. The Guerrilla Girls have produced some of the most iconic protest images of the late 20th and early 21st centuries. They were founded in 1985 in response to systemic discrimination against women in the art world, exemplified by a major international painting and sculpture survey held that year at MoMA, in which only 10% of the exhibited artists were women. Calling themselves ‘The conscience of the artworld’, the Guerrilla Girls have continued to place pressure on art dealers and major arts organisation to be accountable for the inequity of their collection and exhibition strategies. Their tactics and focus have broadened over the years, addressing the representation of artists of colour. They have staged demonstrations and alternative exhibitions, drop-lifts in exhibition shops and other subversive ways of getting their message across. 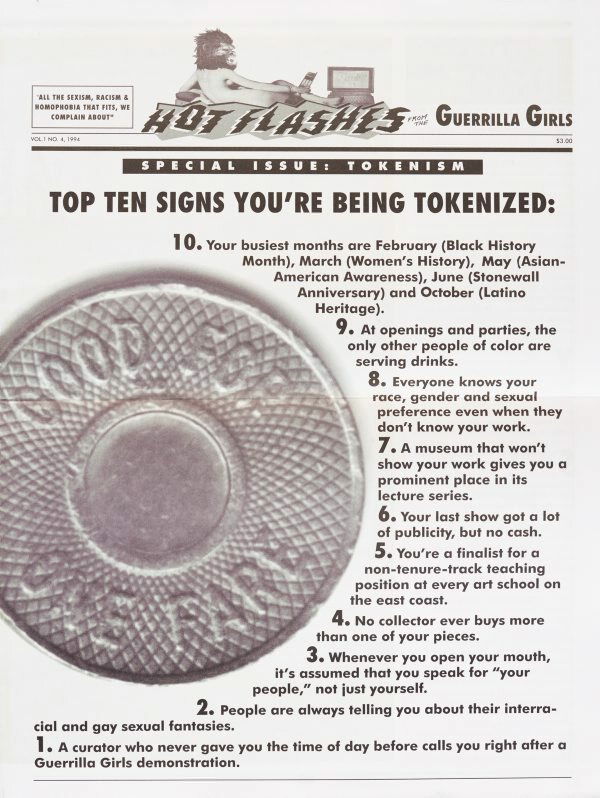 The ‘Portfolio Compleat’ includes core works from the Guerrilla Girls’ practice over decades and is aimed at ensuring their legacy within the museums that have so often been the target of their imagery. Signed l.r. 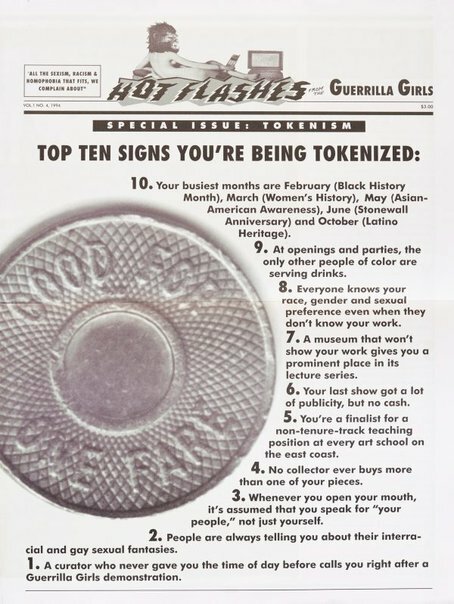 verso, inscribed on screen "Guerrilla Girls". Not dated.